What do those companies have in common? Each one suffered a massive security breach in the last few months. They’re not alone. Cyber attacks are on the rise, and will only get worse. Security is a problem that will keep growing if not made a priority. It’s a problem that can compromise your customer’s sensitive data. It’s a problem that can cause irreparable damage to your company’s reputation. In his military treatise, The Art of War, Sun Tzu explains the importance of “knowing your enemy.” If you do not know your enemy’s strengths, weaknesses, tactics, etc…, you cannot win. The same is true for web application security. If you don’t understand a hacker’s strategies, your applications will be insecure. To truly create secure web applications, you must understand how they will be attacked. Last year, we saw a string of security breaches stemming from the same problem: Unpatched versions of the ColdFusion application server software. 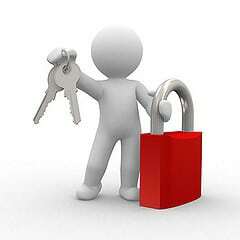 With web application security, every little vulnerability opens the door for a security breach. You might build impenetrable applications…but if you put those applications on an unpatched server, your data is still vulnerable. While this advice might sound obvious, I include it for a very good reason: Despite the repeated warnings over the years, these types of attacks still happen far too often. Developers still aren’t properly validating user input, leaving their data wide open to attackers. The good news: As explained below, frameworks for protecting against these attacks are improving. When testing new web applications, what do you check for? In most cases, testers looks for bugs in the interface and ensure the application does what it’s supposed to do. But, is that enough? As explained below, your QA process should also ask this question: Does the application do anything it’s not supposed to do? One interesting note about the now infamous Target Breach: The malware used to steal data was completely undetectable to security products. Many companies make the same mistake. They put security tools in place, and assume they don’t need hands-on testing. What’s the best way to protect confidential user data from a security breach? Don’t collect it in the first place. Now, I realize that you must collect some user data, but many companies make the mistake of collecting too much. As explained below, this mistake only increases your risk. Going one step further–what happens if your applications must collect sensitive data (like payment information) from customers? As explained below, offloading these tasks not only reduces your risks–as you don’t collect their credit card information–it simplifies your job. Shortly after the Healthcare.gov website went public, a “white hat” hacker discovered that security was never properly built into the site. It was composed of multiple insecure pieces that left user data wide open to attackers. Now, while most businesses aren’t creating applications on this scale, it brings up an important point. Security should never be an afterthought. It can’t be something that’s added after the application is built. It should be a critical component of the entire development process, as well as the business as a whole. Oftentimes, a business worries so much about outside attackers, they completely forget about inside risks. Namely, uneducated users with too many privileges. An uninformed user can potentially cause just as much (if not more) damage as a hacker if given free reign over a system. Couldn’t agree more! When you build security into the development cycle you can fix and close security issues as they happen, and not build layers of new code on top of the security bug and hide it.